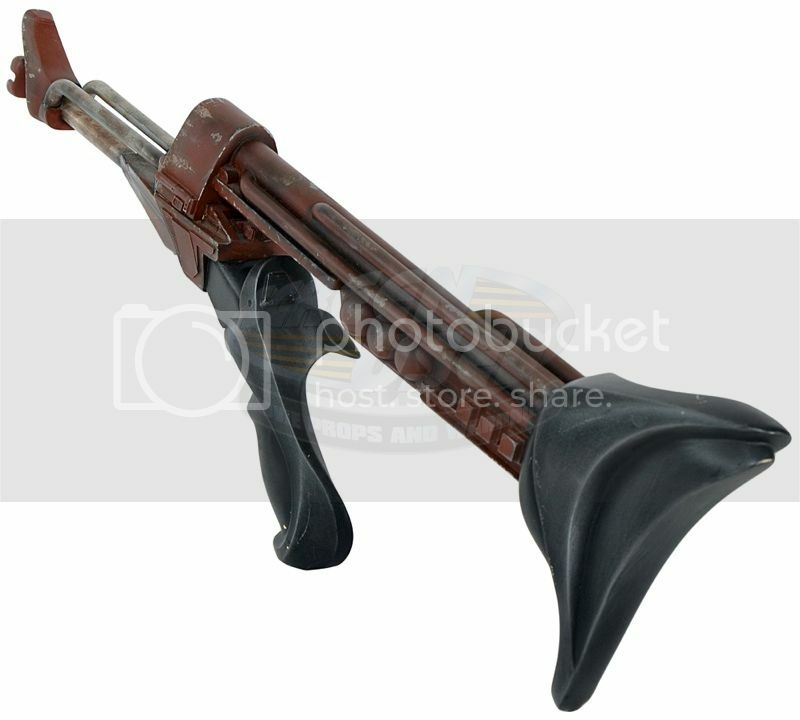 Screen Used has a Klingon Rifle for sale. At $ 4,999 this is a pretty fair deal. These are incredibly rare and I was lucky to get one from It's a Wrap. 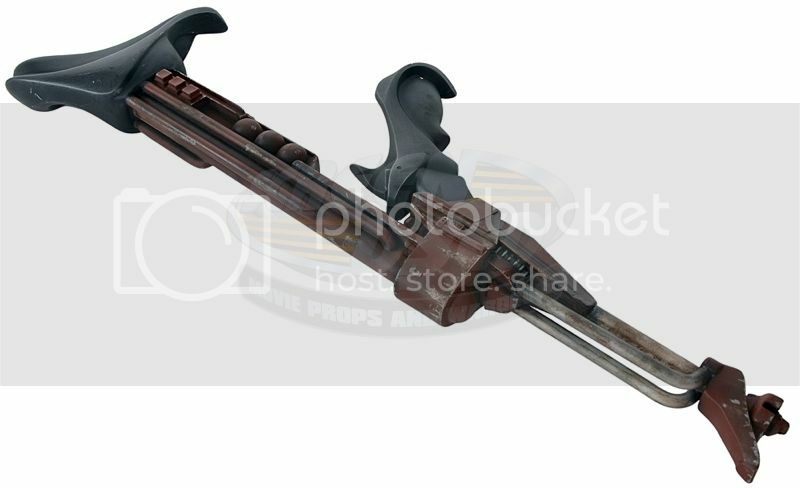 Made for Star Trek III, these were basically disruptor pistols with an added "stock". The pistol was an entirely new design from the "Death STing" used in The Motion Picture. 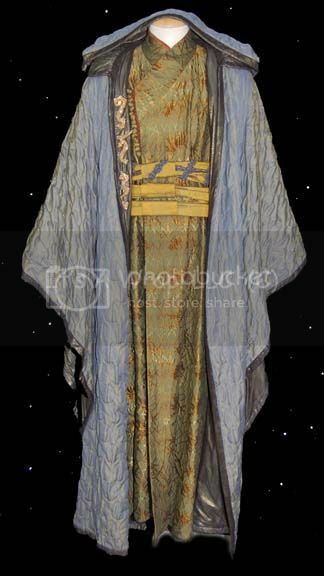 This design was used through Star Trek: The Next Generation, Deep Space Nine and Voyager. The only change being the tip, which was constantly breaking, resulting in the "beak nose" version. 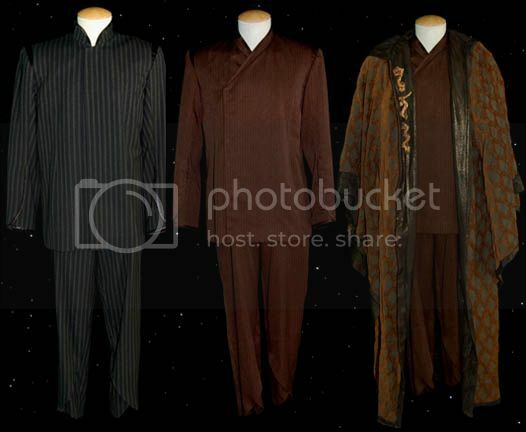 You can see it on Screen Used's website. Over the last two years I have been able to help CBS with their Star Trek archive. First, flying to ST. Louis and Orlando and cataloging the props & costumes at the Star Trek exhibition, then by housing and cataloging the props from the Las Vegas Star Trek Experience museum exhibit. Now CBS has a great young lady named Holly who is in charge of the cataloging everything and she is doing an amazing job. The other day she sent me these photos and asked me to identify this prop. Of course I sent it off to Jorg Hillebrand in Germany. As many of you know, Jorg is simply the best at identifying props from Star Trek. He has a near photographic memory and is the go to guy when you need to get a screen cap of a prop or costume. 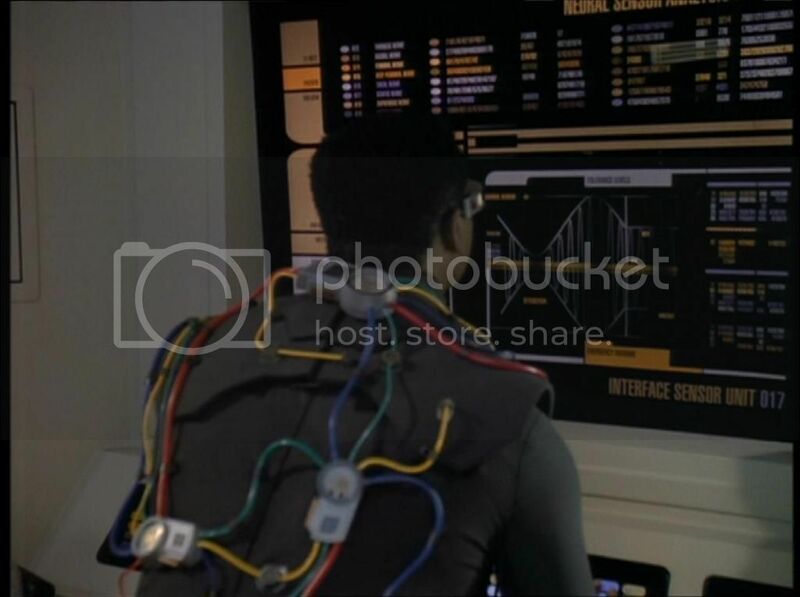 I can tell you that the small device was originally made for Geordi's interface suit in "Interface". The prop was modified after this, though, and I seem to remember having seen it in a later episode, can't place it at the moment though. 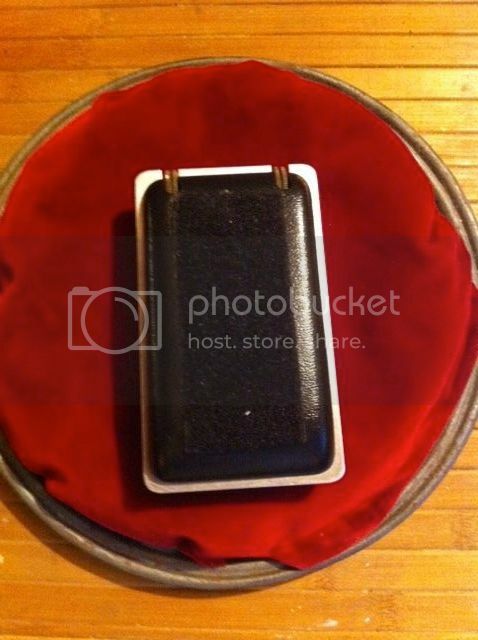 Holly then sent me this image from the CBS inventory. 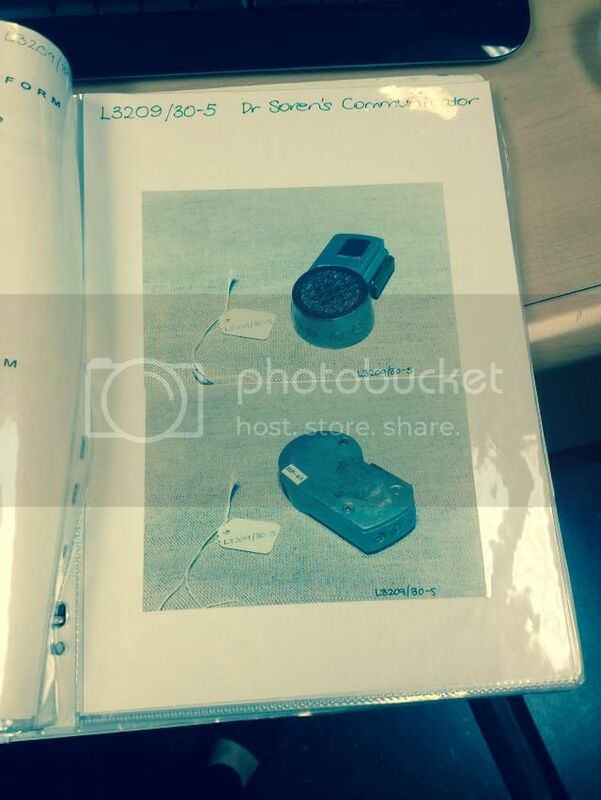 So supposedly, according to this doc, it was used as Soren's communicator in Generations. 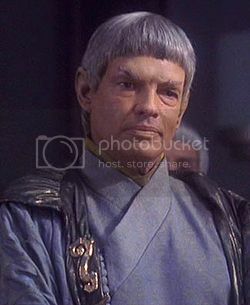 Jorg is still looking, but I didn;t find it in Trekcore. But this is the type of thing that is fun about this hobby. 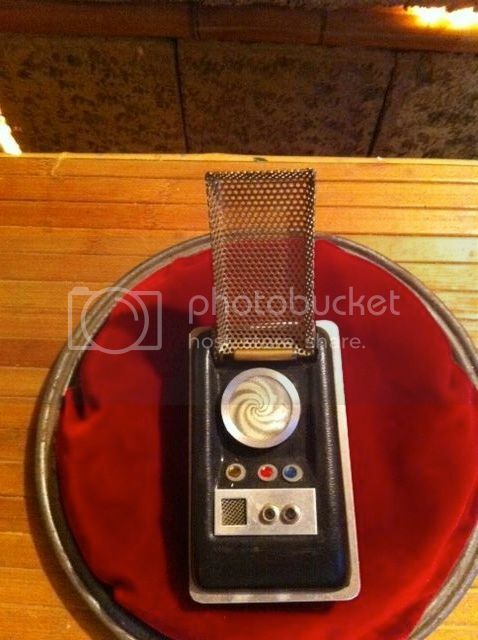 Last month I won three Tricorders from the Premier Props auction. They were pretty darn good deals, and one reason may have been because no one was sure if they were real or not. 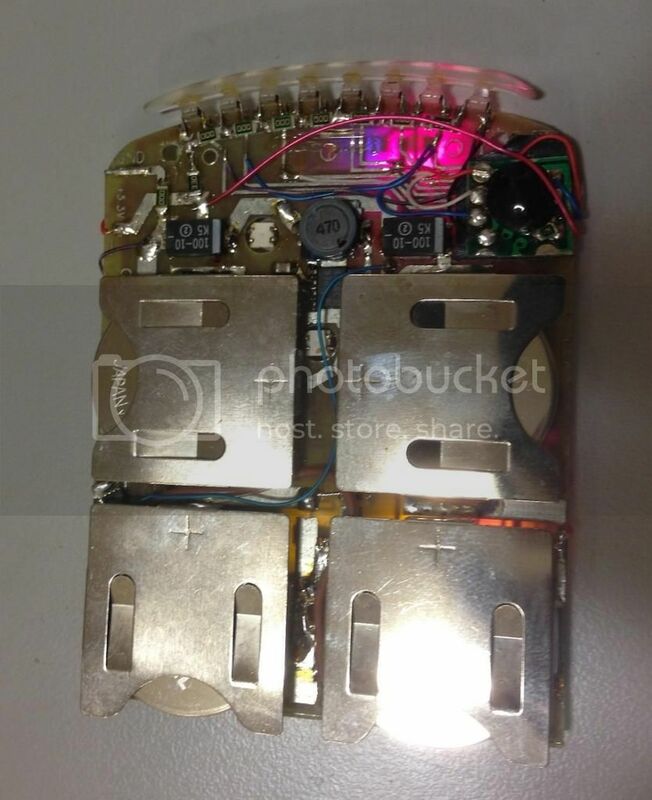 As I said in my article before the auction: "Now the problem with the two Hero Light-Up Tricorders is that unless you bust open the back and take photos of the insides, you can't tell if these are production-made, or are the ones made for Star Trek: The Experience." Now, every auction house runs the risk of auctioning off fake props. You take the opinion of a consignor you know, who may have other good stuff, and you basically roll the dice. 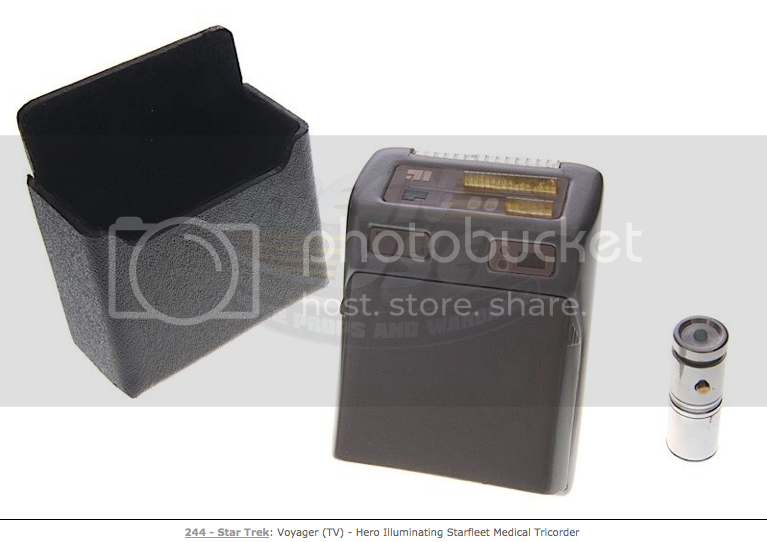 As I said, the only way to truly know if a TNG era hero Tricorder is real is to bust it open and look at the electronics. So I took all three to Brett Jones, who, outside of Michael Moore from HMS, the guy whose shop actually built them, knows more about Tricorders than anyone. This turned out to be a replica. 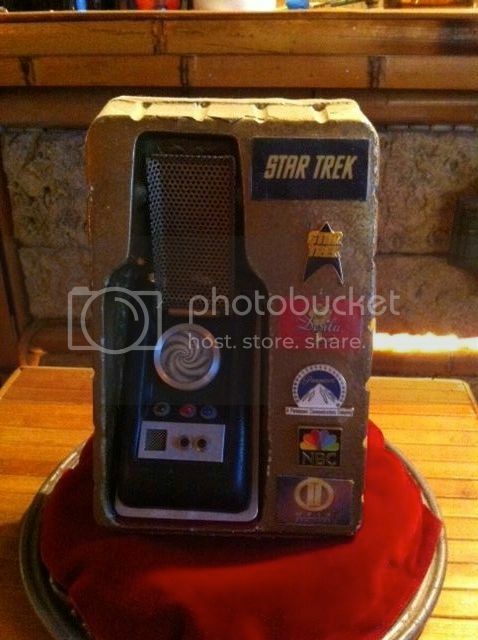 In fact it was a replica made by HMS to be sold at the Star Trek Experience at Las Vegas. Brett Jones busted this open (OK, he didn't "bust" it open, but used a fine point screw driver!) 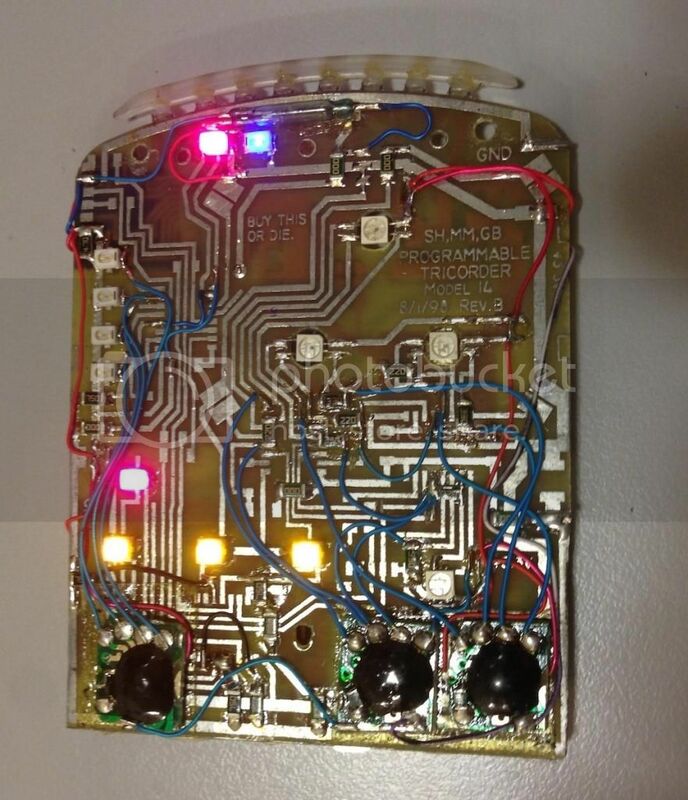 and immediately we found that it had the wrong power and distingusihing marks on the circuit board that identified it as a fake. I got my money back from Premier Props as I expected. Of course, I had acces to the best resources in the hobby. If you didn't, and won this item, you would have wound up with a fake and not even known it. And this is why I think many people stay away from these auctions and the prices are low. A good price on a fake is still a bad deal. But the big issue is Movieprops DNA, which claimed to have "Authenticated" these props. More on that next article. These are replica Quark's Bar bottles that are pretty spectacular. They are up for sale on eBay right now. 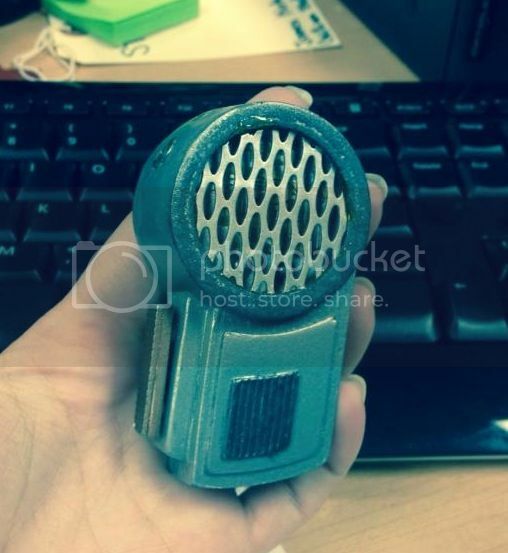 Another fake TOS prop is up on eBay, and this time, the seller was told by members of the Trek Prop Zone (the forum for collectors of replica Star Trek props), that it was fake. But he didn't listen and kept the listing up,and it of course didn't sell. It is, as always, worth making a note of this and saving the photos. 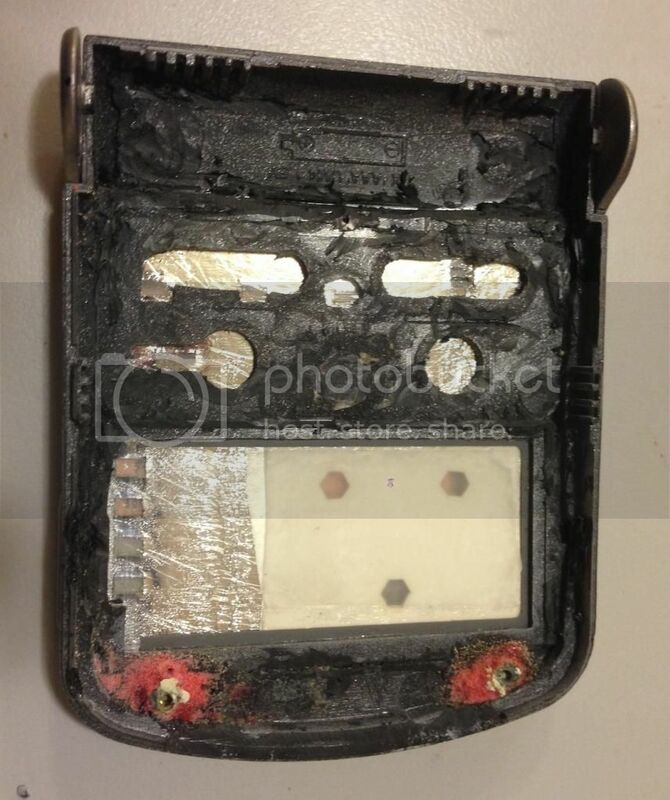 The dead give away is the extended metal plate. And the TPZ members even identified WHICH replica kit it was! 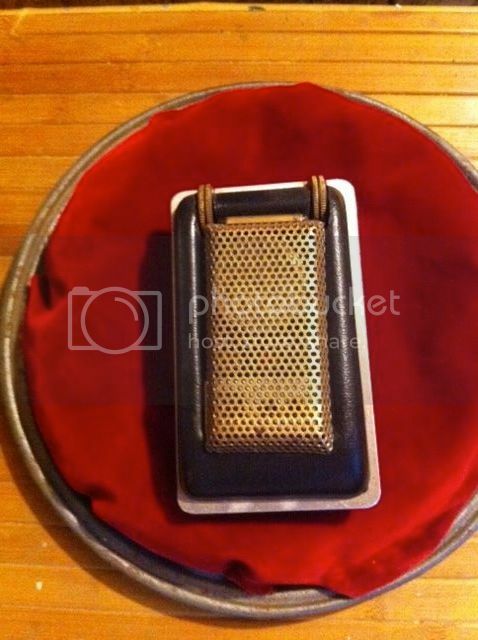 This communicator prop from Star Trek TOS was sold to me by Forrest J Ackerman from his person collection in 1997 for an undisclosed price. While Forrey had been a good friend for many years, he only agreed to sell me the prop after a decade of my relentless cajoling. Though I hate parting with it, recent financial concerns have forced my hand. Besides, it's time someone else enjoyed the prop as have I these many years. 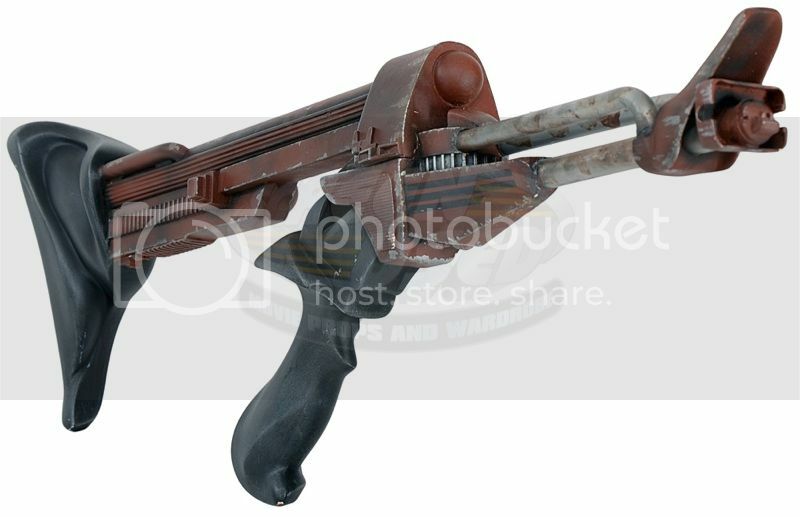 This prop was seen only in long shots, and is not one of the pristine models used in tight close-ups. Constructed for durability (props were always being dropped during filming) the antenna hinge employs hardware less fragile than that found in the close-up models. The prop is accompanied by a letter of authenticity from Mr. Ackerman on his stationary. Ok, so a few problems. 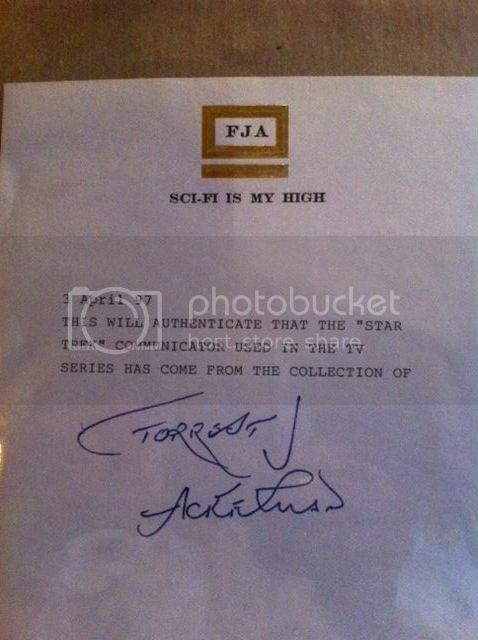 First, everyone knows that half the stuff in Forrest J Ackerman's collection was fake. Word is that he used to loan stuff out, and the unscupulos people who borrowed things copied them returned fakes and sold or kept the real ones. So saying it is from Ackerman's collection is not good provenance. 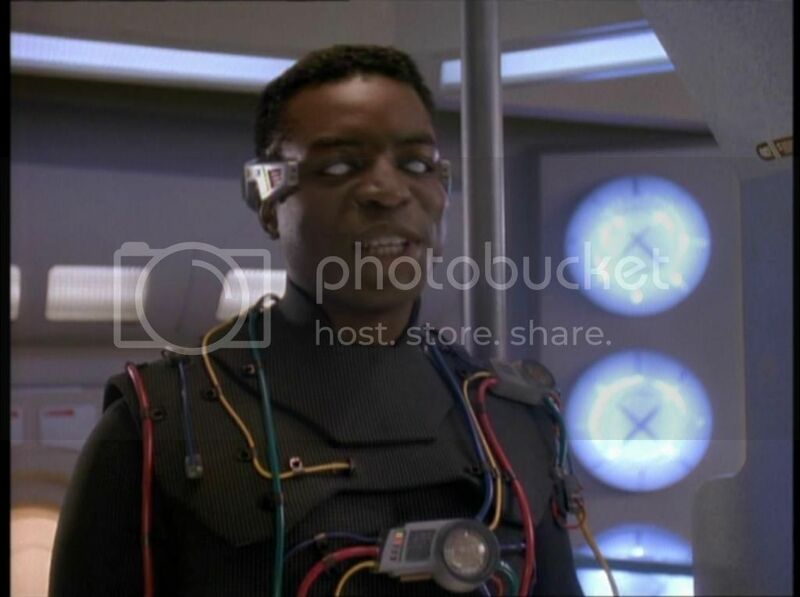 As always, when in doubt, check with the Trek Prop Zone or the Star Trek Prop, Costume & Auction Forum. Tricorders are a good value! 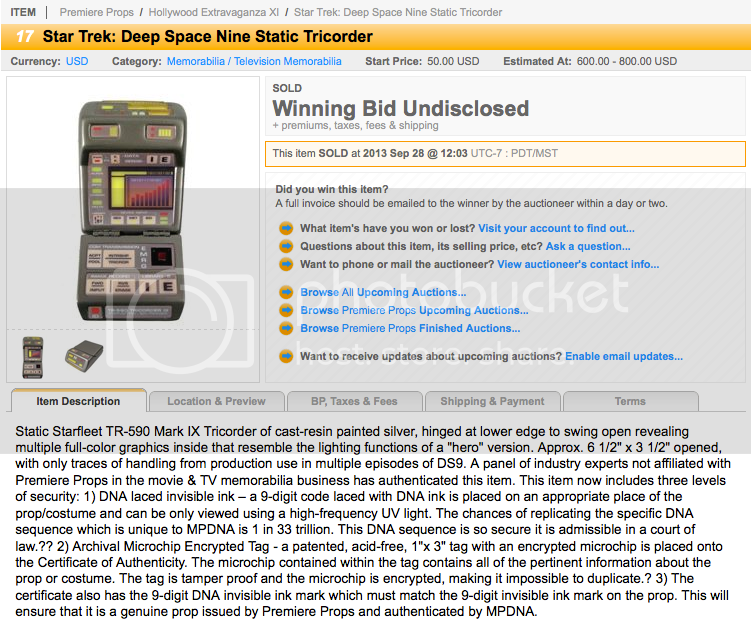 A few Tricorders have sold within weeks of each other at the Premier Props and Screen Used auctions. The take away is that prices are down on Tricorders. 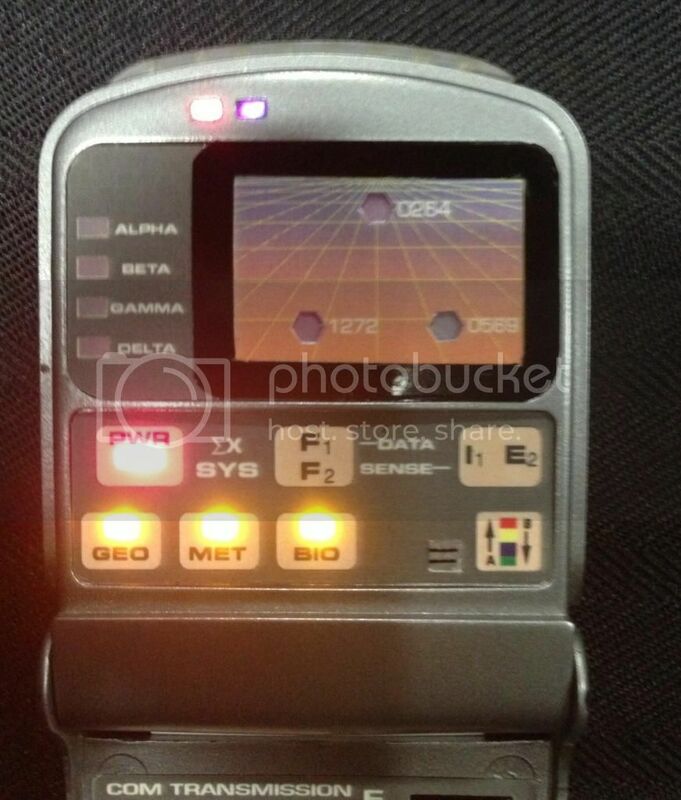 There were two static Mark IX Tricorders. The one at Premier sold for $ 799.50 (including BP) and the one at Screen Used sold for $ 1,180 (including BP). Pretty close, and this establishes an $ 800-1,2000 range for a static Mk IX. Check out the auction page here. 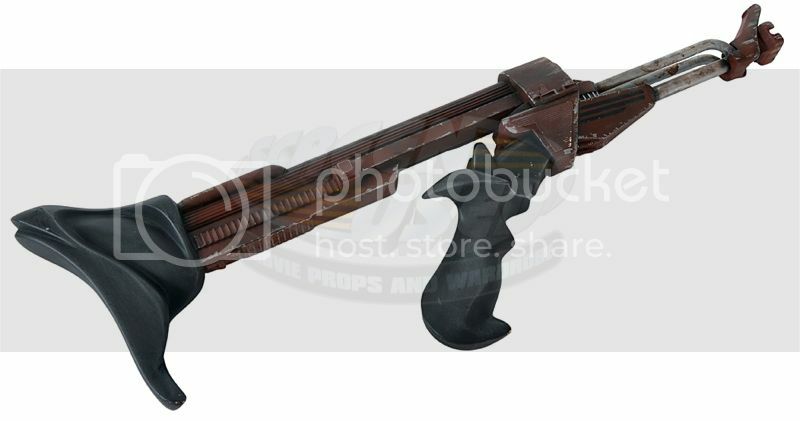 A Hero Mk X sold at Premier Props for $ 2,337. Check out the auction here. 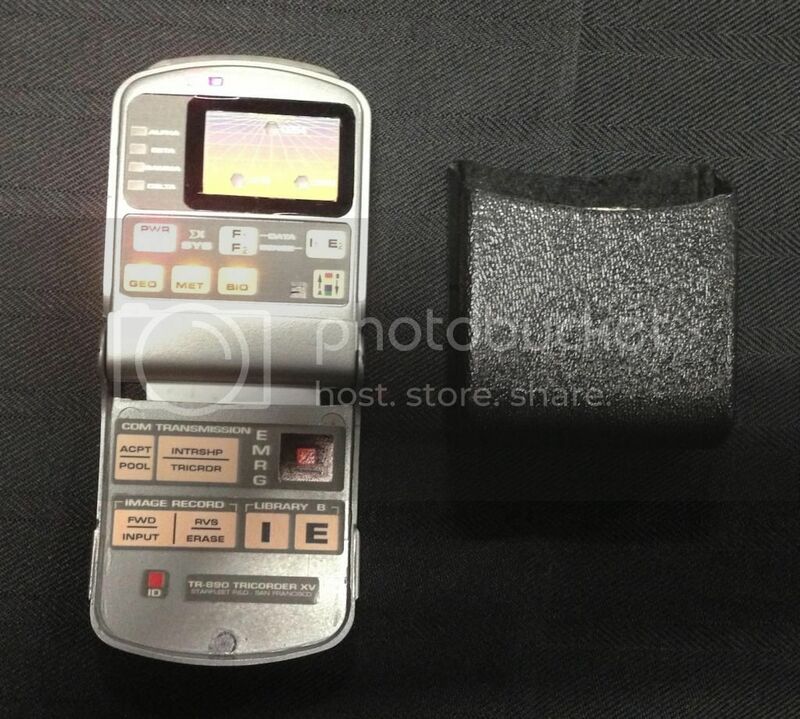 While the Screen Used Mk X Medical Tricorder went unsold. Check out the auction here. 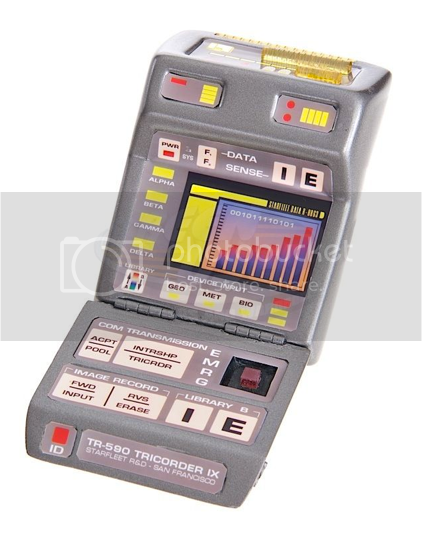 With an opening bid at a very high $ 4,750, the Tricorder didn't sell. It was a medical one, so very nice, and had a holster. But this is WAY above where the market is now for Tricorders. I think it sells at $ 3,500. So that is it for now! Well, Gary Graham will be reprising his role of Ambassador Soval in Axanar, and I am starting to look for costuming for him. So do any of you have either of these two lots, sold by IAW?